The Snack Bowl is coming up on Sunday! 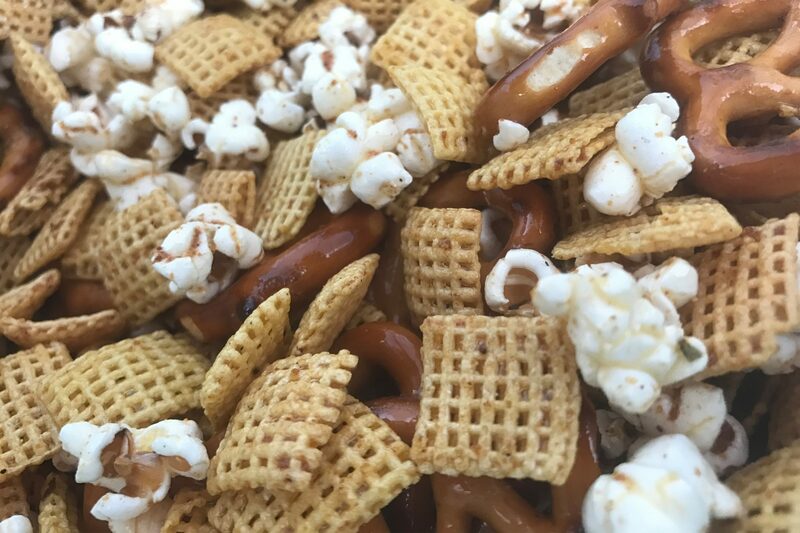 We’re already planning our menu, starting with this flavor packed Patriots Popcorn Snack Mix. We started by popping about 1/4 of our Petite Maize popcorn. It yields a little over a cup of popcorn when it’s done. While we waited for the popcorn to pop, we melted a stick of butter in a pan. We added about 3 teaspoons of our Citron Rouge seasoning blend, and let it simmer. When the popcorn was done, we transferred it to a large bowl. We added 1 cup of mini twist pretezels, and 4 cups of Corn Chex. We stirred it up before adding the melted butter and Citron Rouge mixture. Stir well, and enjoy! This is a snack best served warm.